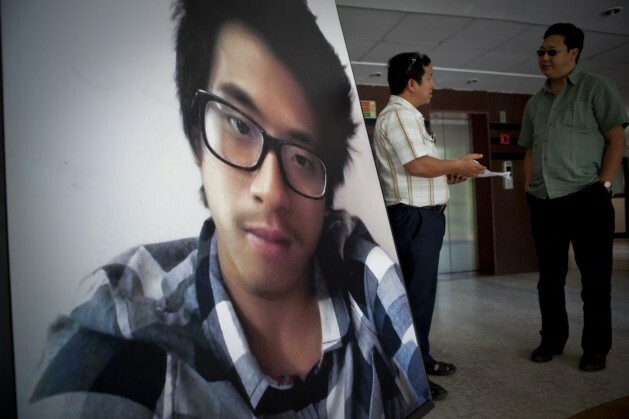 A photograph of Nido Taniam who was killed in a racist attack is displayed at the Arunachal Bhawan in New Delhi. Credit: Bijoyeta Das/IPS. NEW DELHI, Mar 25 2014 (IPS) - L. Khino, 27, vividly remembers Christmas Eve at the Indian capital’s famed Connaught Place shopping hub four years ago: the blinking lights, the buzzing crowd, the winter chill – and the salty taste of her tears. Khino had just arrived in New Delhi from her home in India’s northeastern state of Manipur. “I was so excited. But suddenly a group of men surrounded me. ‘How much do you charge for a night?’ they asked. I yelled, ‘Get away,’ but they pinched my cheek and touched my back,” she tells IPS. Others giggled, some laughed aloud. A few snapped photos with their cell phones. “Chinki, chinki,” they kept teasing as she fled into a metro station. ‘Chinki’ is an offensive reference to the East Asian features of many people from India’s northeast. Khino is one of thousands of youngsters who migrate each year from the eight northeastern states to Delhi, Mumbai, Bangalore, Pune and other cities in their quest for “higher education and better opportunities.” She works at a business process outsourcing centre in the capital’s satellite city Gurgaon. “Enough is enough. They call us ‘chinki’ everyday, assault and harass us. What is this? Just discrimination or racism?” she asks. According to activists and student groups, people from the northeast have harrowing experiences across India. They are regularly subjected to verbal taunts, slurs, jokes, physical and sexual assaults as well as cheating by landlords and employers. For years, complaints have been piling up and the fury has been simmering. Matters came to a head this January when Nido Taniam, the 19-year-old son of a legislator from the northeastern state of Arunachal Pradesh, was killed. A student in Punjab state, Taniam was visiting Delhi. He had stopped at a store to ask for directions when shopkeepers made fun of his dyed blonde hair. This led to a brawl, and he was seriously assaulted. The next day he succumbed to his injuries. Taniam’s death led to widespread protests across India. Many from the northeastern community are now campaigning for an anti-racism law to deal with apparent hate crimes. The North East India Forum against Racism (NEIFAR) was formed in February. Phurpa Tsering, spokesperson for NEIFAR, tells IPS that their short-term demand for fast-tracking all pending cases of hate crime has been accepted. “In the long run we want a comprehensive anti-racism law because most Indians, including the government, deny that racism exists,” says Tsering, who is from Arunachal Pradesh and is a student at Jawaharlal Nehru University in New Delhi. A spate of recent attacks on people from India’s northeast has stirred disconcerting questions. Protesters point out that the identity of mainland India often excludes the northeast, a region often described as far-flung, remote and conflict-ridden. They say northeasterners are frequently stereotyped as morally loose women in skimpy skirts who are sexually available, or good-for-nothing men who are drug addicts or insurgents. About 86 percent of people from northeast living in Delhi have faced discrimination, according to research by the North East Helpline and Support Centre based in New Delhi. Alana Golmei, the founder, says they receive 20-30 calls a month, and most complain about non-payment of salaries and assaults. But can a piece of legislation battle racism? In 2012, the Ministry of Home Affairs issued a directive to punish anyone who calls a northeasterner ‘chinki’ with up to five years in prison under the Scheduled Castes (SC) and Scheduled Tribes (ST) (Prevention of Atrocities) Act. The SCs and STs comprise some of India’s most socially marginalised people. Golmei calls this an “emotional, stray reaction” with little effect – there have been no convictions so far. Many in the northeast are not categorised as SC or ST.
Sanjoy Hazarika, director of the Centre for North East Studies and Policy Research at the Jamia Millia Islamia University in New Delhi, wants an amendment and expansion of this Act. “New laws are difficult to make and difficult to push through,” he tells IPS. Support for anti-racism law depends on a crucial question: if a man from northern or eastern India is beaten up in western India, it is called regionalism; so is it racism when someone from the northeast is attacked? India signed the United Nations Declaration on the Elimination of All Forms of Racial Discrimination in 1967. But Longchar cites a Washington Post infographic that uses World Values Survey data to show India and Jordan are the most racially intolerant countries. Racist hate crimes are only one end of the spectrum of discrimination that people from the northeast encounter, says Kadambari Gladding, spokesperson for Amnesty International, India. She says they are also denied goods and services. “Non-discrimination is not a concession, but a right,” she adds. Instead of a pan-India law, NEIFAR is advocating legislation specific to the northeast that will deter racist attacks on those with East Asian features, and include positive aspects such as preferential treatment, awareness campaigns, sensitisation of police and inclusion of the northeast’s history in textbooks. NEIFAR is researching anti-racism laws in other countries, particularly Bolivia, to push for a model that suits India, says Id Gil, a Manipur native who studies in Delhi and works for the forum. Racism in India is a problem but it’s not as acute as some racially divided countries in Europe or countries like America. America has a long way to go. Electing a half black president does not absolve America of racially motivated crimes. Misdirected anger and self-justification arrive in many guises. Individuals in our midst arrive with years of pent up anger, rage, frustration and despair. Moral weaklings, aka, bullies will always direct their anger sideways and downward, never upward, its _real_ source: the more powerful. Bullies pick on the weakest, the most vulnerable, the marginalized and least desirable members in a society. And will always find a word or two to “justify” their violence. They isolate the “other” in their midst and unleash their rage. We need serious laws against such bullies, but we also need laws that get to the source of such deviant, coercive behaviors. Why isn’t the obvious sexism here condemned??! away,’ but they pinched my cheek and touched my back,” she tells IPS.